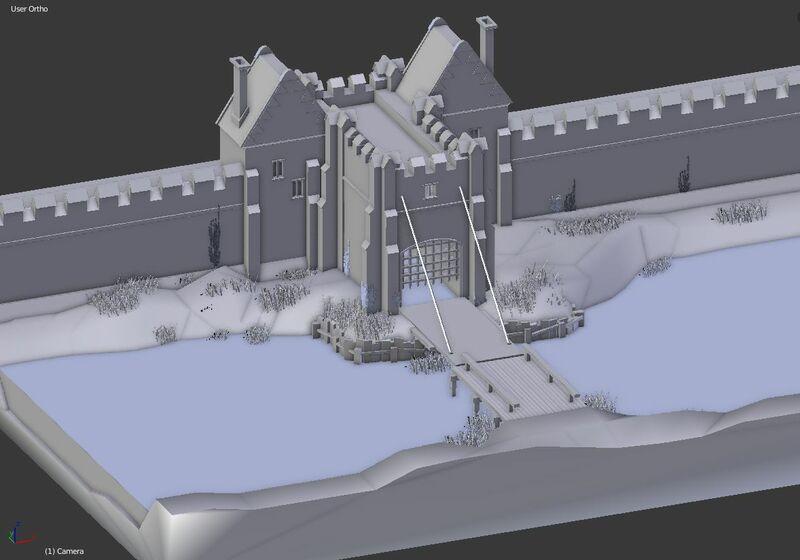 I’m feeling inspired by the recent ‘Archives in 3D’ workshops (which I facilitated in my work capacity as Archives Assistant at the East Riding Archives) where we modelled Hull’s Beverley Gate and King Henry VIII’s Hull Castle using Blender3D and material held in collections at the East Riding Archives. 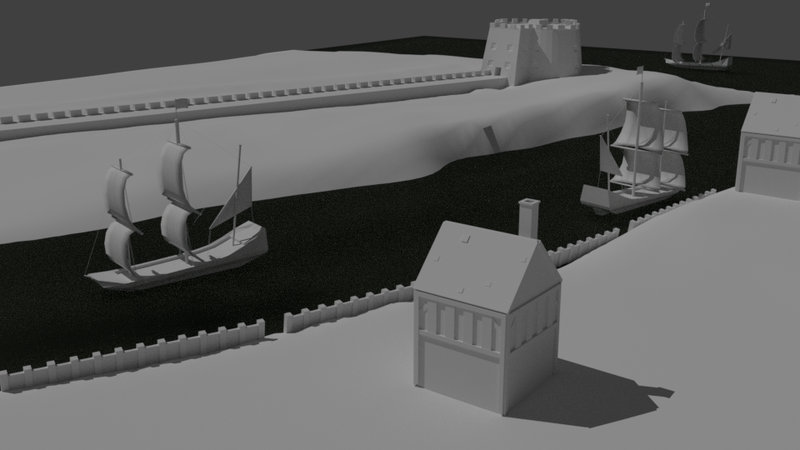 Instead of leaving my Hull Castle model at the WIP stage, I thought I would develop my model further by placing it within its historical context surrounded by buildings of its period and (hopefully) with a textured finish! 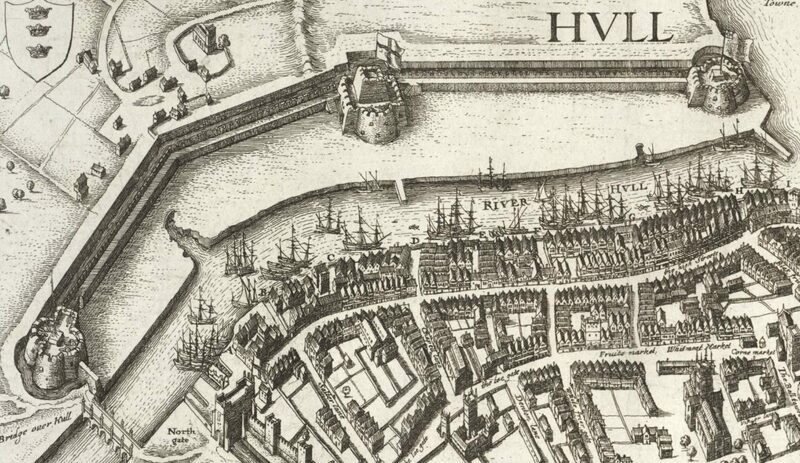 Wenceslaus Hollar’s plan and view of Hull, c.1642, is one of the most well-known historical images of the city and features King Henry VIII’s Hull Castle, the four main gatehouses and significant other locations such as Suffolk Palace and Hull Holy Trinity Church. Using Hollar’s representation, which has been reprinted in various historical publications available at several archive services, my next project is to recreate Hollar’s view of the city piece-by-piece beginning with the top section that includes Hull Castle. 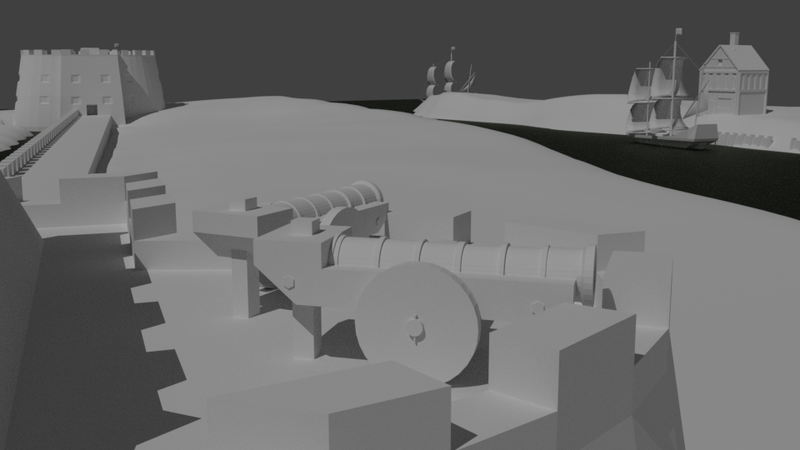 In addition to the architectural features of the fortifications I will also model some ships, canons and other elements included within Hollar’s representation, which will be new for me having previously only worked with buildings! 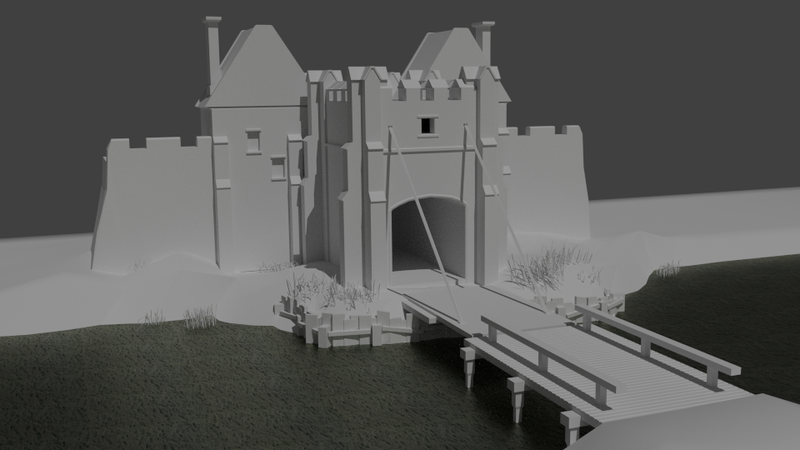 As you can see, there is a long way to go as I’m starting off with simple geometry and will add more detail later. 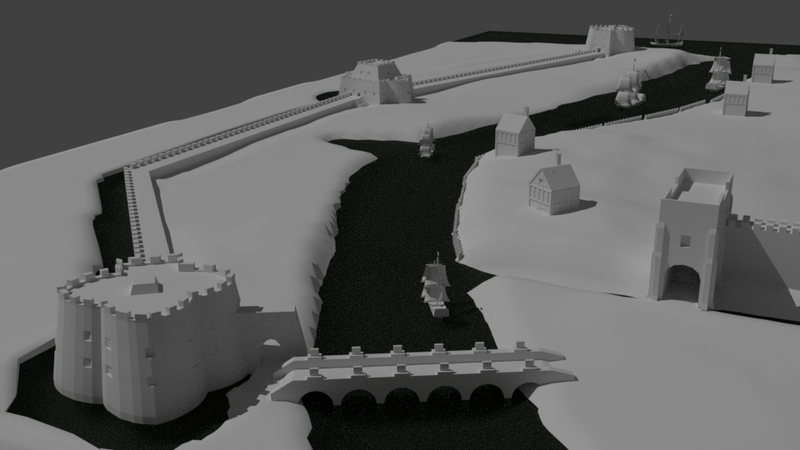 My next step will be to model more varieties of buildings and ships from the Civil War period and populate the city and river areas, all using Hollar’s view as inspiration. With Hull’s UK City of Culture celebrations nearing in 2017 I thought it would be fitting to digitally recreate one of the city’s most historic landmarks- Beverley Gate. 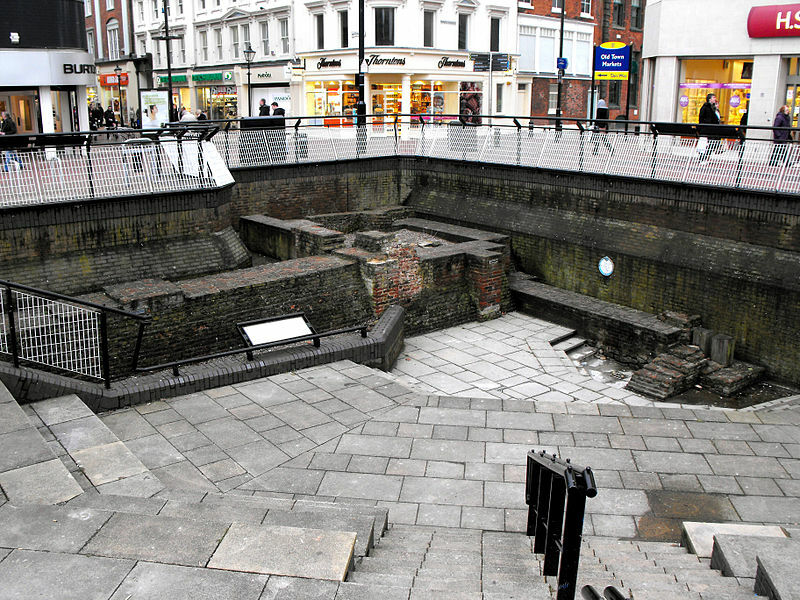 At present, the gate’s structural remains can be seen at the west end of Whitefriargate, Hull. For years the remains have been a much overlooked heritage asset, however thanks to a public opinion campaign and talks of regeneration the structural remains are now a designated National Monument (see Beverley Gate listing on Historic England) . Beverley Gate has a fascinating story and is one of high historical significance. On the 23rd April 1642, the gate was the location where Hull’s Governor, John Hotham, and his son (also named John Hotham) refused Charles I entry into the city- as a result being one of the catalystic moments of the English Civil War (and the subsequent executions of the Hotham father and son). 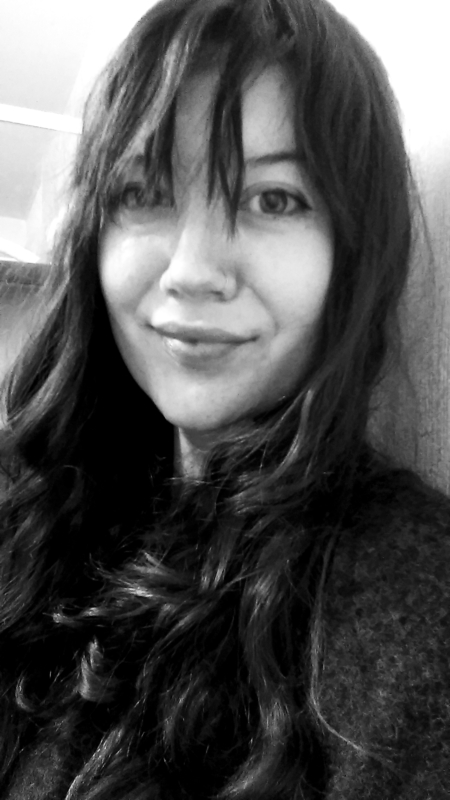 It is a well-known story and gives the site national importance. 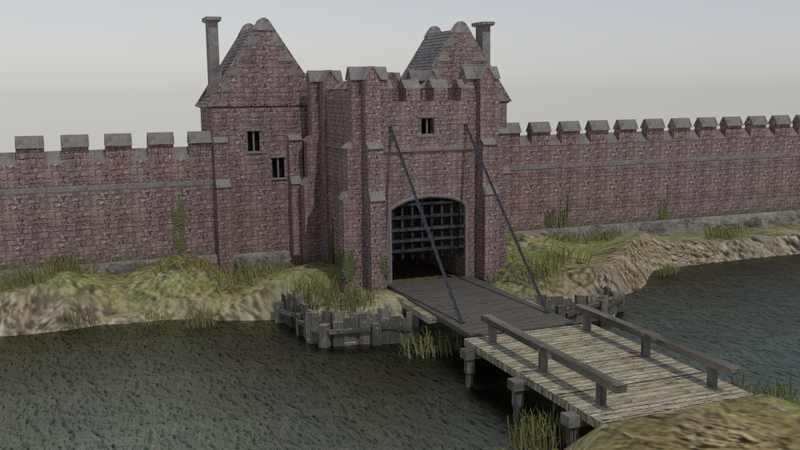 Using Blender, my latest visualisation of Beverley Gate will be based on both artist impressions, archival and secondary source material, held at the Hull History Centre, Hull Museums and the East Riding Archives. 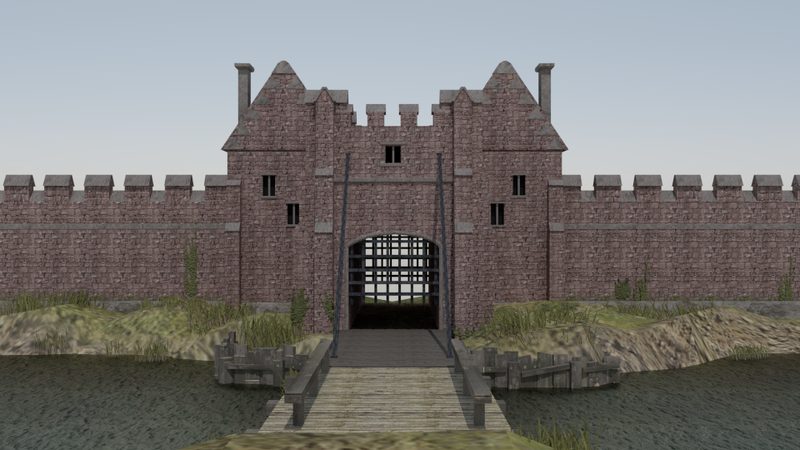 I’m aiming to digitally model the gate as it was in 1642- this means it will be a complete architectural structure and not the romanticised version which you can see in George Arnald’s lovely painting “Charles I Demanding Entrance at the Beverley Gate, Hull“, c1819- though I’d love to model this version too! 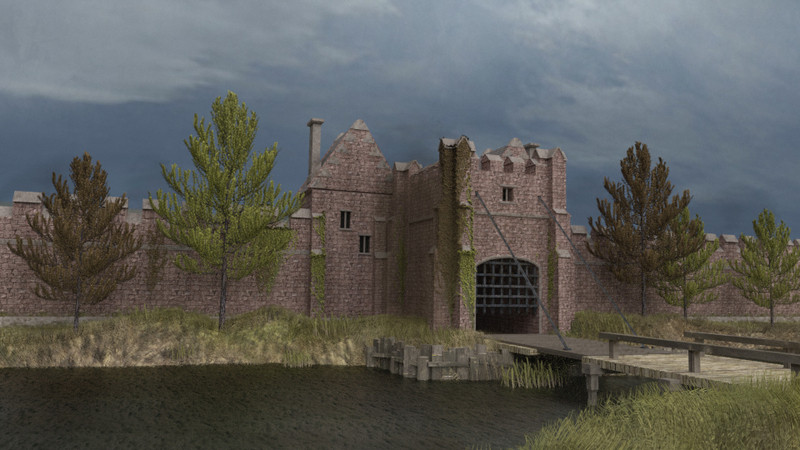 So far I have modelled the main gate structure, drawbridge and surrounding landscape. 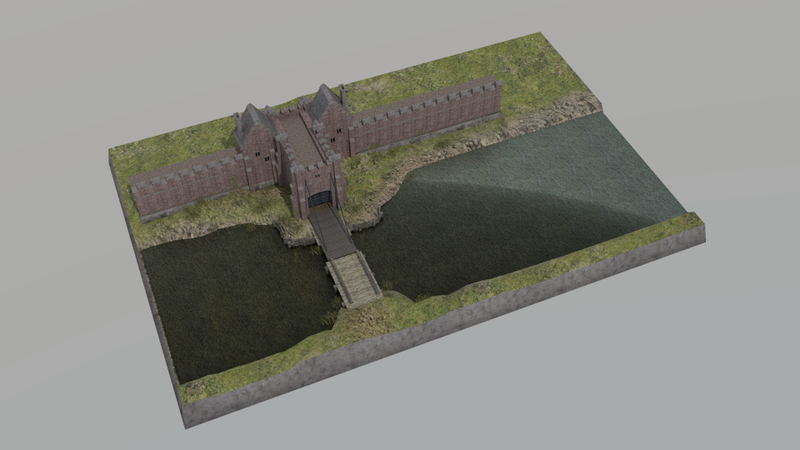 The next step will be texturing, finishing touches and hopefully being able to upload the model onto my Sketchfab account- more posts to follow!